With the holidays approaching, this is a great time to re-introduce SPC’s Consumer Sales program (Alaska Gold). 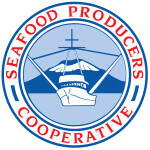 Using a web page, we have been shipping SPC’s quality wild salmon, halibut, sablefish, albacore tuna, and smoked salmon across the country. Our Consumer Sales program has served over 5000 customers around the United States. About 4400 regularly receive our e-newsletters. And most of these customers are really happy. If you need to remind yourself of the results of your hard work producing the finest seafood available, read these Customer Testimonials. Shipping perishables is an extraordinarily perilous endeavor and it took time to get to a critical mass and overcome the pains of starting a new business, but this program is a profitable organization standing on its own footing. In other words, Alaska Gold “buys” the fish from SPC at wholesale prices and after we subtract the shipping costs, the credit card fees, marketing costs, and my salary, we are now well in the black, earning returns for you the owners. Currently, we get anywhere from 350-500 orders and move roughly 3500-4500 pounds per month. It’s still a small blip in SPC’s overall sales, but I also see our Consumer Sales program as SPC’s most direct connection to the end users of the products we produce. We have a wide variety of seafood recipes on the website. I’ve taken time to sit with a few of you and have your stories up on the website. People come to the website searching for delicious seafood, but your stories and a deeper connection to the fish also make a huge difference in their purchasing decisions. A film about our wild salmon was shown at the Food & Farm Film Fest in San Francisco. Participating in festivals like this puts our fish and our co-op in front of food hip people, educating them, and making them aware of what we do. Most of our website orders come from home consumers. There are a handful of small restaurants and health stores that appreciate the quality and more direct connection of getting the fish from us rather than a distributor. This is where I see the Fishermen Rep Ambassador program that Joe Morelli introduced recently complimenting this Consumer Sales program. These two programs can carve out niche markets across the country and get a more direct connection to end consumers and more dollars for your hard work. If you need any help placing an order or have any questions, don’t hesitate to give me a call at 844-833-0120 or drop a line at kwhitney@spcsales.com.